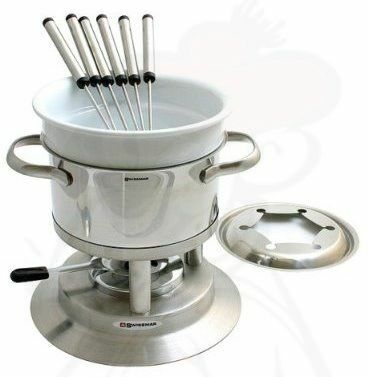 This eleven parts Swissmar Fondue set has a ceramic insert that can be used as a second caquelon, which means you can use one pan for three types of fondue – meat, cheese and chocolate. This Swissmar 11-piece fondue set has a ceramic insert that acts as a double boiler, so you can use one fondue set for three different types of fondue: cheese, meat, and chocolate. This Swissmar 11-piece fondue set has a ceramic insert that acts as a double boiler, so you can use one fondue set for three different types of fondue: cheese, meat, and chocolate. For meat fondue, you simply remove the ceramic bowl and put the spatter guard into place. For cheese or chocolate fondue, add water to the lower pot and place the ceramic bowl insert over it. 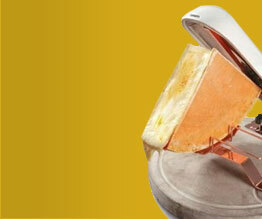 Fondue is an ancient fascinating Swiss dish, fun to serve, and enjoyable to eat. 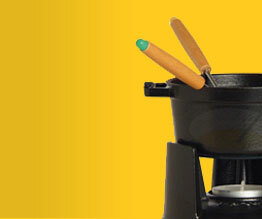 Make your fondue party fun. 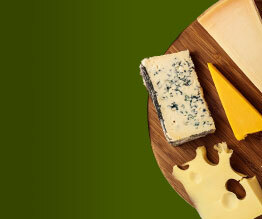 Plan your seating arrangements ahead of time and partake in a fun Swiss tradition. It is customary that if someone’s bread or meat falls into the pot, he/she has to turn to the person on the right and give them a kiss. Another tradition is that if someone’s bread slips off the fork into the cheese, this person has to buy a bottle of wine or a round of drinks for the table. Make a game out of it and create new challenges every time someone drops a piece of bread or meat into the pot. Swissmar has been providing quality products and service at affordable prices for more than 20 years.